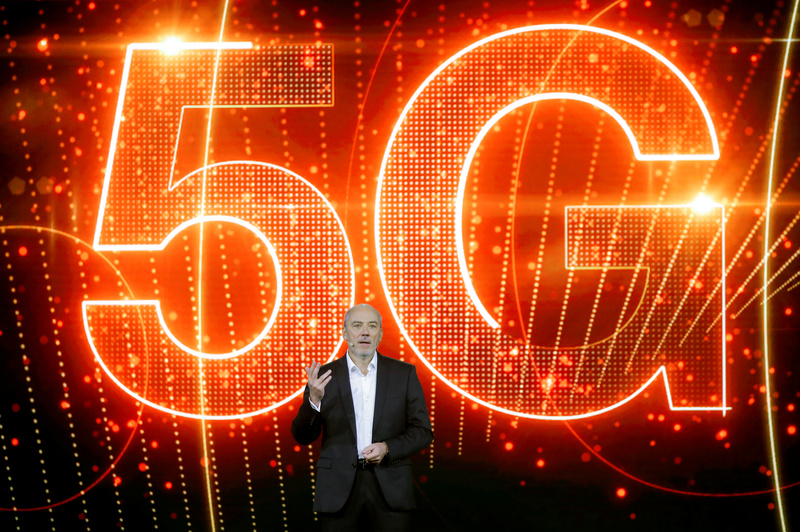 French telecoms operator Orange Chief Executive Officer Stephane Richard speaks on stage during the Hello show to present the company's innovations in Puteaux near Paris, France, December 12, 2018. Deutsche Telekom on Feb. 21 reported 2018 revenue of 75.7 billion euros, up 3.1 percent from a year earlier excluding currency fluctuations, acquisitions and disposals. EBITDA grew 7.2 percent in organic terms. The German telecom carrier said it expects EBITDA to grow by about 3 percent in 2019 to around 23.9 billion euros. Spain’s Telefonica reported 2018 revenue of 48.7 billion euros, an increase of 2.4 percent from a year earlier in organic terms. It expects operating income before depreciation and amortisation – similar to EBITDA – to grow by around 2 percent in 2019 from 15.6 billion euros in 2018. French telco Orange generated revenue of 41.4 billion euros in 2018, or 1.3 percent higher than a year earlier in organic terms, and EBITDA of 13 billion euros. It expects EBITDA growth in 2019 to be slightly lower than the previous year’s 2.7 percent. At 0840 GMT, shares in Deutsche Telekom were down 1.4 percent at 14.37 euros, Telefonica was up 0.5 percent at 7.71 euros and Orange was down 2.5 percent at 13.3 euros.